← Queen Bee To Rule This Year’s VMA Awards? 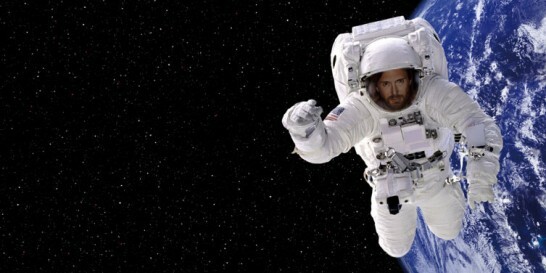 Could Guetta Be The First Man To Play A Gig In Space? Now, if you haven’t already seen the videos of David Guetta at the opening and closing ceremony of this summer’s Euro Football Championships, check out the parody video below, we think you’ll get the idea of how it went down. Why watch the videos? Well, it’s quite obvious that he is the laughing stock of the DJ world and there’s no doubting he has taken the art of mixing a record OUT of his sets, with pre-recorded performances. One simply presses play and pause, if you like. So if you didn’t know him, we think that those videos will give you a general idea of him. It looks like he is taking his art into another stage of ridicule after apparently speaking with Virgin Galactic about the prospect of playing a “gig” in space. Now, we would love to see some proper music up in space if that ever came about, like Oasis rocking it or Muse flipping out a bunch of ET’s with their amazing show. But no, little Urkel is likely to get some French fancy. How likely this is that it’ll happen, we do not know. Virgin Galactic was set up by Richard Branson’s Virgin Group in 2004 and set out on a mission of developing a commercial spacecraft aiming to provide suborbital space flights to space tourists. After initially hoping that the maiden flight would be completed by the end of 2009, the launch of Virgin Galactic has been pushed back, and back. It is still unknown as to when the first flight will take place, but we sure as hell hope that Guetta is the first guy to play a gig in space!